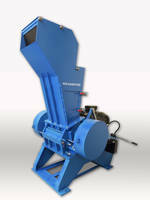 Channel Disintegrator maximizes plant equipment operation. 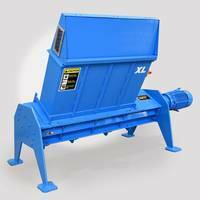 DimminutorÂ® Channel Disintegrator automatically screens/grinds wastewater solids in straight-through channels and wet wells, working on plastics, wood, rags, and other solids. Unit's 3 bidirectional rotary cutters intermesh at close clearance with stationary cutters, yielding solids small enough to pass through sizing screen. To simplify maintenance, it has individually replaceable cutters, oil lubrication, and rotary design requiring no auxiliary diverter screens. The Dimminutor provides effective, automatic screening and grinding of wastewater solids in straight through channels and wet wells. This powerful unit reduces plastics, wood, rags and other solids to fine bits, enhancing plant operation and improving the reliability of pumps and other downstream equipment. The Dimminutor employs a smooth, continuously rotating design with high torque. As its three bidirectional rotary cutters intermesh at close clearance with stationary cutters, solids are finely reduced to a size small enough to pass through a sizing screen. With no gaps or openings between the screen and cutters, output is controlled and complete reduction assured. The Dimminutor has an intrinsically open design to handle high flow rates with low head-loss. This unit is extremely easy to maintain and features individually replaceable cutters, oil lubrication and a simple rotary design requiring no auxiliary diverter screens. A unique, cantilevered design eliminates seals or bearings near the gritty channel floor. 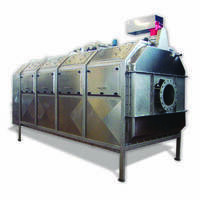 Every component of the unit is constructed for precision and long life. 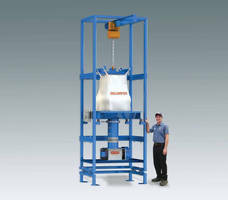 VULCANATOR® KM10 Granulator comes with hydraulic lift. 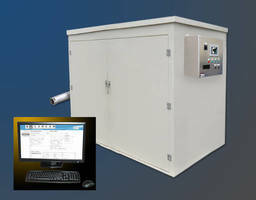 SCREENMASTER RT Screening System comes in corrosion resistant stainless steel. Hard Drive Disintegrator prevents data theft.